When making purchases of items, the majority of people have a strong zeal of getting some discount. Getting a discount gladdens many people and motivates them to buy from the same seller again. Due to this, a lot of sellers issue discounts to their customers in order to increase the sales they make. It is more like an incentive for the customer to buy from the buyer again. On the basis of the reason for giving a discount, two types of discounts emerge – cash discount and trade discount. These terms might be confusing to many people and therefore this article’s aim is to differentiate them for the purpose of easier understanding. This is a discount which is allowed by the seller to the buyer on the list price of the purchased goods. The main objective of this discount is to increase the sales by encouraging the buyer to make more purchases and in larger quantities. It can be from a producer to a wholesaler or from a wholesaler to a retailer or any other relationship having one as the buyer and the other as a seller. The discount also aims to retain the buyer for a longer term by giving them the incentive to make purchases from the buyer again. This discount is usually deducted from the invoice and therefore is not shown in the cashbook. Credit is a very important aspect of a business. All major business trepidation is grounded on credit transactions. It is the expectation of the business and the will of the seller that when goods are sold on credit, the money is paid back at an early date. For this reason, the seller can issue a discount to the debtor for paying back the money on an earlier date. This discount is the one known as the cash discount. The discount is indicated in the discount column found on the debit side of a cash book of the seller. However, if you are the debtor who is receiving the discount for paying pack the credit at an early date, the discount shall appear on the credit side of the cash book but still in the discount column. The aim of this discount is to encourage debtors who have purchased goods on credit to pay the credit back at an earlier date. Although trade discount and cash discounts are different concepts in accounting, they share some common features due to the fact that they have one main final goal in the interest of a business. Some of the similarities are briefly discussed below. Although all the other features such as the basis of issuance of a discount and the recording (or lack of) in the books of accounts may be different, both are discounts, just as the names suggest. This implies that they involve the reduction the cost the buyer would have incurred in the interest of the business gaining a given advantage which is dependent on the type of discount offered thereof. A discount is generally defined as an allowance given for particular situations. The discount is issued by the seller to the buyer and therefore it is not actual cash. Rather, it is only a deduction of the amount of cash the seller has to pay the buyer if they meet certain criteria depending on the type. Both trade discount and cash discount involve the same number of parties. Each of them has two parties involved – the buyer and the seller. This kind of relationship can be found between producers as sellers or creditors and wholesalers as buyers or debtors, wholesalers as the sellers or creditors and retailers as the buyers or debtors and so on. The transactions are usually between the two parties where the buyer or debtor (depending on whether the discount is a trade discount or a cash discount respectively) receives a discount from the seller or the creditor. In light of the objective of the discount, one can argue that each of the discounts has a particular and distinct purpose they wish to achieve but after all, both discounts have the same objective in the long run which is for the benefit of the business. The trade discount aims at retaining the customer(s) and for encouraging the customer to make more purchases thus increasing the sales which are a gain for the business. The cash discount on the other hand also benefits the business by giving debtors who make purchases using credit incentive to pay at an earlier date and thus prevents the risk of financial issues like bankruptcy and even collapse of the business in extremes. The first and obvious difference arises from the origin of the discounts. This means the situations in which the discounts are given to the client by the salesperson. A trade discount is given to the buyer when they buy or purchase goods as per the discount policy. A cash discount, on the other hand, is allowed only when the customer is making payments especially if there is credit involved. These two discounts also differ on the basis on which they are allowed. Since the trade discount is related to the goods purchased or the sales made, it is based on the amount or magnitude of the formers. The more purchases the customer makes, the higher the rate and the amount of discount offered. Contrariwise, the cash discount is based on the time of payment of the goods purchased. This implies then that the sooner the customer makes payment, the higher the rate and the amount of the cash discount. There is also a difference in the way the records of these two accounts are kept and where they are kept. The trade discount is not recorded in the cash book – neither credited nor debited. The discount is deducted from the listed price of the purchased goods and entry on the sales and purchases is made with the already reduced price of goods in the purchases and sales books. A cash discount is, however, recorded in the book of accounts as discount. It is recorded on the debit side of the cash book by the seller as discount allowed and on the credit side of the cash book by the buyer as discount received. This is a difference regarding the place from where the discount is deducted. The trade discount is deducted from the value on the invoice having the listed price of the goods purchased. However, a cash discount is not deducted from the value of the goods on the invoice. Rather, the deduction is recorded in the cash book as a discount allowed or received depending on whether it is the seller or the buyer respectively. In tracking the discounts, one needs to know which discount is reflected where. The trade discount is reflected on the sales or the purchases book – again, depending on whether it is the seller or the buyer – and is shown as having been deducted from the sales price or from the purchase price. The trade discount does not show on the profit and loss account. However, a cash discount can be found on both the cash book and the profit and loss account. The cash discount cannot be shown on the sales or purchases books. This is normally a decision by the business and it dictates how and how much discount is given. In general, the trade discount is offered as a short-term measure to promote sales and is allowed as per the scheme announced by the business. 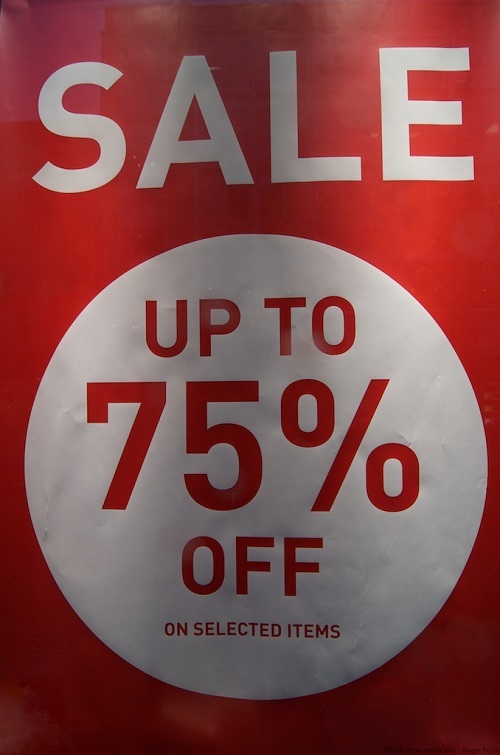 A discount can be allowed on specific goods in order to promote their sales. A cash discount, however, may be allowed in cash when payments are made immediately rather than use of credit – also based on the policy declared hitherto by the business. Table 1: Differences between Trade Discount and Cash Discount. Source It is given during sale/purchase of goods. It is given during time of payment. Foundation It is directly proportional to the magnitude of the sales/purchases. It is inversely proportional to the amount of time taken before making a payment. Record in Books of Accounts It is not recorded in the cash book. It is recorded on the sales/purchases books. It is recorded in the cash book as discount allowed on the debit side. Presentation Can be found in the purchases book or the sales book as a deduction from the sale/ purchase price. Does not appear in the profit and loss accounts. Can be found on the debit side of the seller’s cashbook as discount allowed and on the profit and loss accounts. Discount Policy Generally allowed as a temporary business or product promotion measure as per the announced business strategy. May be allowed in cash when payments are made promptly as per the policy the business has declared although there is no set provision for cash discount. With all that in mind, it is easier now to distinguish these two often confusing business terms. The differences between the two terms clearly stand out as it has been shown. The major difference between the two is that a trade discount is allowed depending on a number of goods purchased while the cash discount is given depending on the time taken to make a payment for purchased goods. Georgina Nderitu. "Difference between Trade Discount and Cash Discount." DifferenceBetween.net. September 25, 2017 < http://www.differencebetween.net/business/difference-between-trade-discount-and-cash-discount/ >. Maheshwari, S.N., Suneel.K. Maheshwari, and Sharad. K. Maheshwari. Financial Accounting. 5th ed. New Delhi: Vikas Publishing House. Print. Siddiqui, A.S. Comprehensive Accountancy XI. Laxmi Publications, 2011. Print. Sofat, Rajni, and Preeti Hiro. Basic Accounting. 2010. Print.